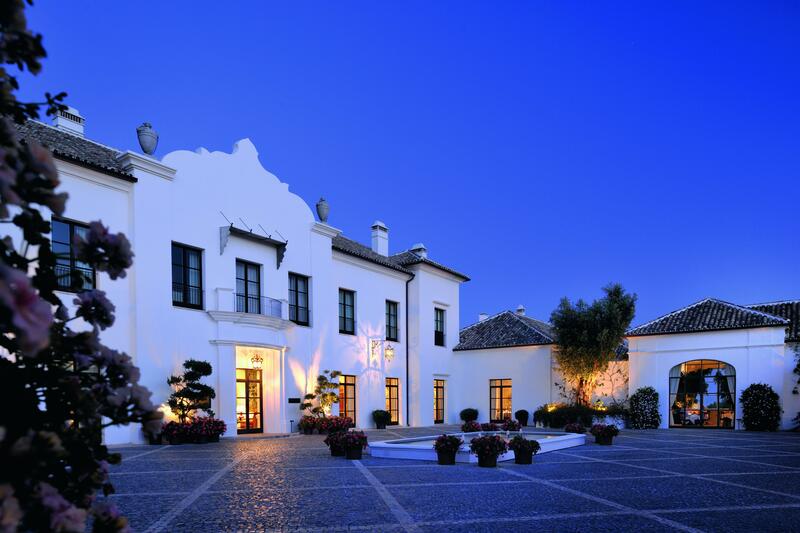 On a sunny December day, I’m driving through Marbella on my way to one of Europe’s finest hotels – Finca Cortesin. I’m incredibly excited to be experiencing the multiple award-winning luxurious Andalucian-inspired property. A well-hidden gem for any discerning traveller looking for sophistication, privacy and ultimate luxury this will be far from an ordinary hotel stay. Situated a mile back from the ocean just outside the small coastal settlement of Casares, Finca Cortesin is only a 50-minute drive from Malaga airport and 25-minutes from Gibraltar, located at the very tip of Spain in Andalucia. Arriving at the property which is set in a vast 532-acre estate surrounded by lush golf greens and a stunning mountain backdrop, the main gate takes guests to either the hotel, golf course/club or the residential properties. Driving up to a beautiful Andalucian courtyard my guest and I are greeted by a valet who swiftly unloads our suitcases and parks the car within seconds. Entering the property we are imminently impressed. The reception area is luxurious and spacious with crisp white walls, dark wooden furniture, colourful fabrics and decorated with fresh flowers. 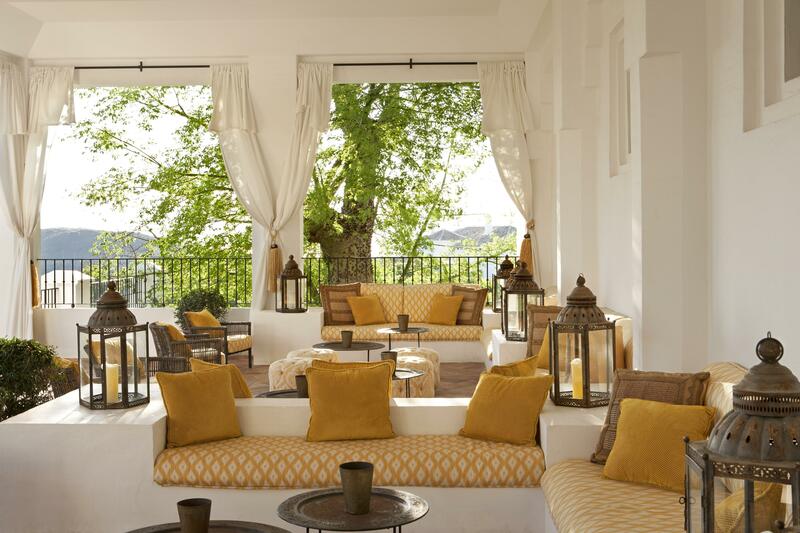 With its expansive interior and exterior spaces, the majestic €350 million white Andalucian hotel, representing a luxurious version of a traditional Spanish ‘Finca’ (meaning country house in Spanish), was actually only built back in 2008 and opened its doors quietly in March the following year. 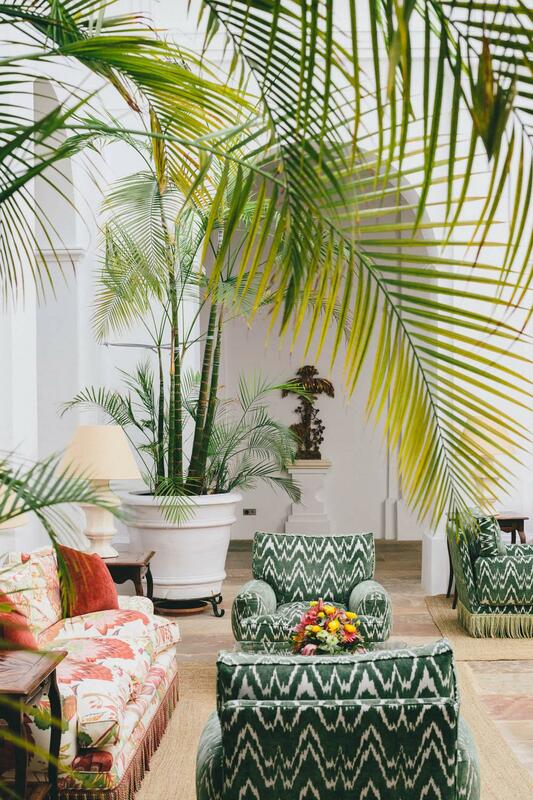 Original interior decorator Duarte Pinto Coelho, the man behind Finca Cortesin’s Andalucian inspired interior design, cherry-picked objects from around the world such as the unique roman doors and the beautiful stone tile floorings, originating from European castles and monasteries to create a unique design rich in history. 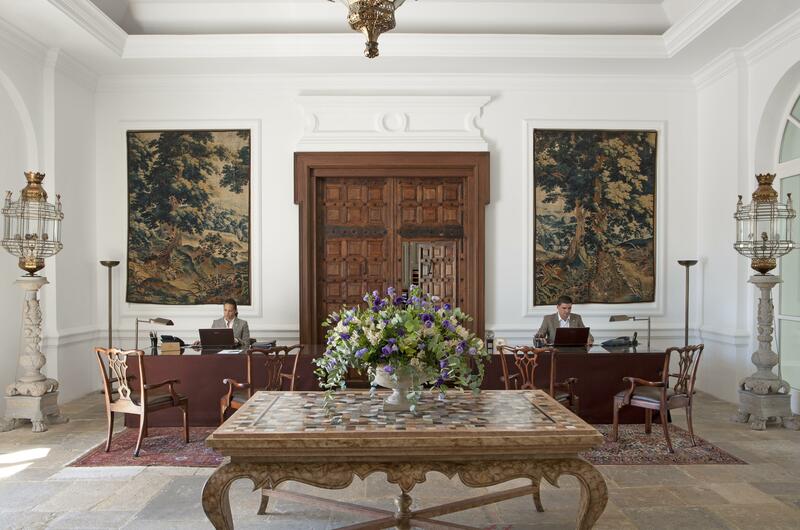 The carefully selected artefacts and objects placed around the hotel reflect the decorator’s Portuguese heritage and are also available for sale. My guest and I are staying in one of the 67 spacious hotel suites. Our executive suite is located on the right side of the palatial building only a short walk from the reception area. The suite offers complete privacy with windows facing a large private terrace overlooking one of the two impressive outdoor pool areas offering a spectacular view of the 23.000m² gardens. I am informed that all suites have their own unique design and our room has an elegant and classic feel with beige, grey and white colours being used across the bedroom and the large separate sitting room. 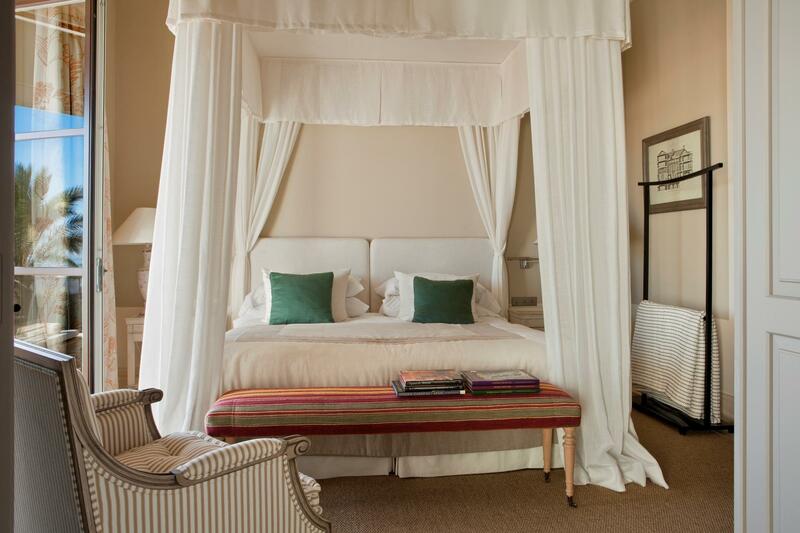 The four-poster bed is magnificent and the Egyptian cotton bed linen exquisite. However, the bathroom with Italian marble, an oversized bath and separate shower area is the real jewel in the crow! The property has three restaurants; El Jardín de Lutz serving traditional Spanish cuisine, Don Giovanni, Italian cuisine and Kabuki Raw which serves traditional Japanese dishes. The award-winning El Jardín de Lutz resembles a Portuguese farmhouse kitchen with clay tiled floors and pots and pans displayed on a beautifully painted tiled wall. Offering some of the best traditional Spanish dishes guests can enjoy the local cuisine in a relaxed outdoor or indoor dining area. For dinner, Chef Lutz Bösing suggests we try the homemade spinach and Caseres cheese ravioli with squid strips and sherry sauce and the warm scallops with “AjoArriero” sauce for starters. Both dishes are incredibly tasty and cooked to perfection. For the main course we are are trying the oven baked Monkfish with roasted garlic sauce and the Sea Bass loin and baby squids which are paired with a beautiful light red wine. For pudding, we can’t resist the apple pie which is served with vanilla ice-cream. All dishes are fantastic, the service excellent and the atmosphere is simply perfect. The breakfast is served in the same restaurant alternatively in the room and offers an impressive a la carte menu including eggs benedict, omelettes, fruit salads, fresh juices, cheeses, jams and homemade pastries. 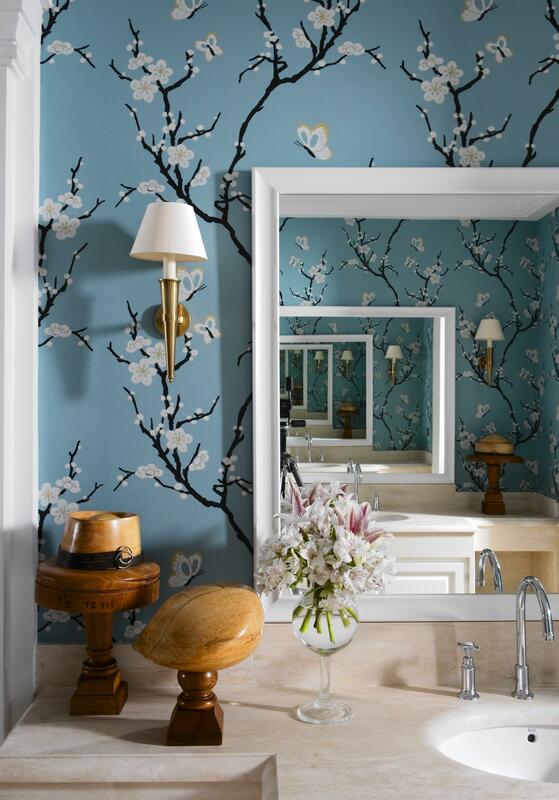 Next to El Jardín de Lutz is the Blue Room which is a beautiful bar area decorated with blue wallpaper, hence the name. 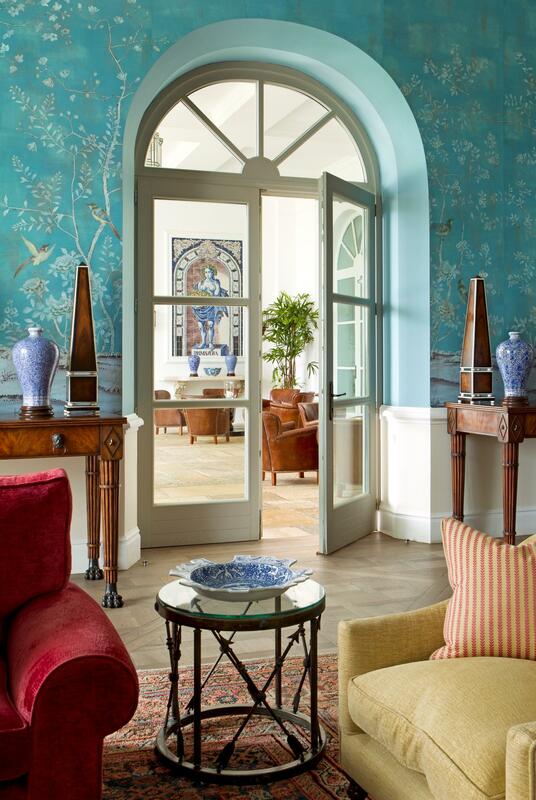 With its red comfortable velvet sofas and a great selection of drinks, this is the perfect spot to relax after an afternoon walk around the grounds. 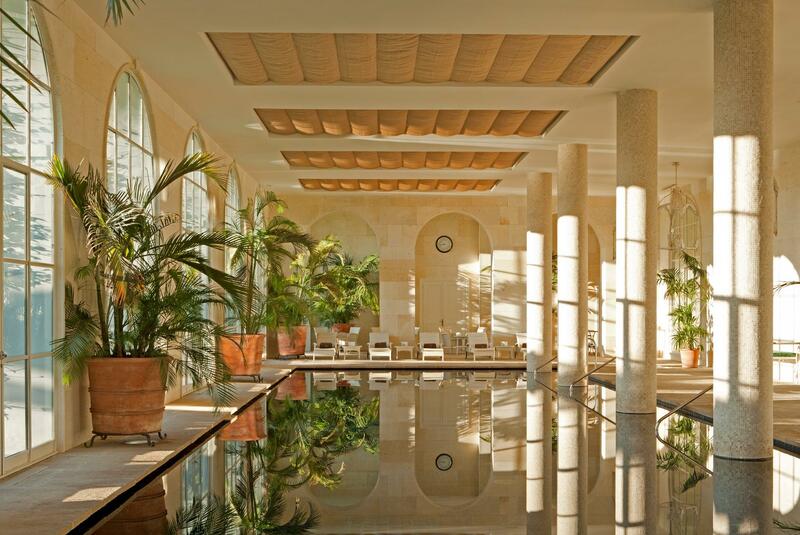 Perhaps one of the most impressive areas of the hotel is the famous spa. Measuring 2.200m² there is a large 25m heated indoor swimming pool, three thermal areas all equipped with a sauna, Turkish bath, a relaxation area and for the brave – there’s even a snow cave (with real snow) which can be used before or after the hot plunge pool. The pool area is magnificent when basking in sunlight during the day but is equally as lovey during the evening when the lights are on. After using the spa and gym facilities and a swim, lying down on one of the lounges along the pool is the perfect way to end the day before dinner. There are also a number of different face and body treatments available including Thai massage, facials and traditional Indian Ayurvedic treatments as well as a gym and tennis court. 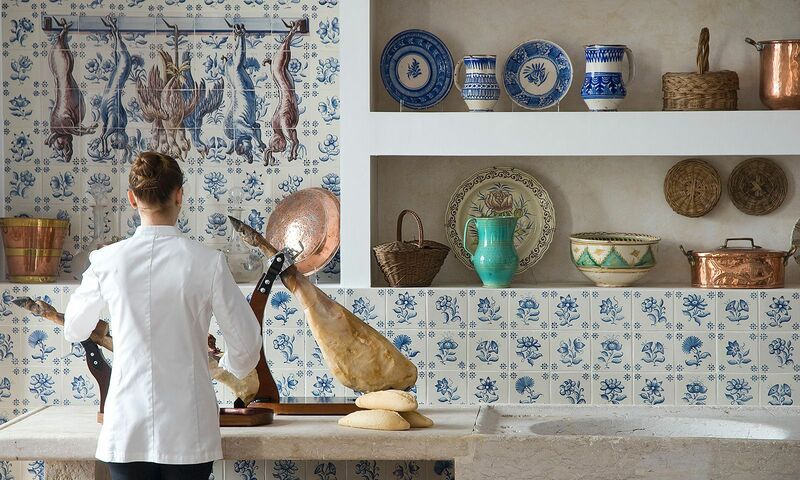 Visiting Finca Cortesin during early December turned out to be perfect. The sunny weather lent itself perfectly to long walks and lunches outside. However, guests visiting the resort during the warmer summer months will also be able to enjoy the impressive 6000m² beach club, located in the “Bahía de Casares” beach just 1 km from the hotel. Last but not least, for avid golfers, the hotel boasts a magnificent par 72, 18-hole golf course by one of the world’s leading golf course architects, Cabell Robinson. 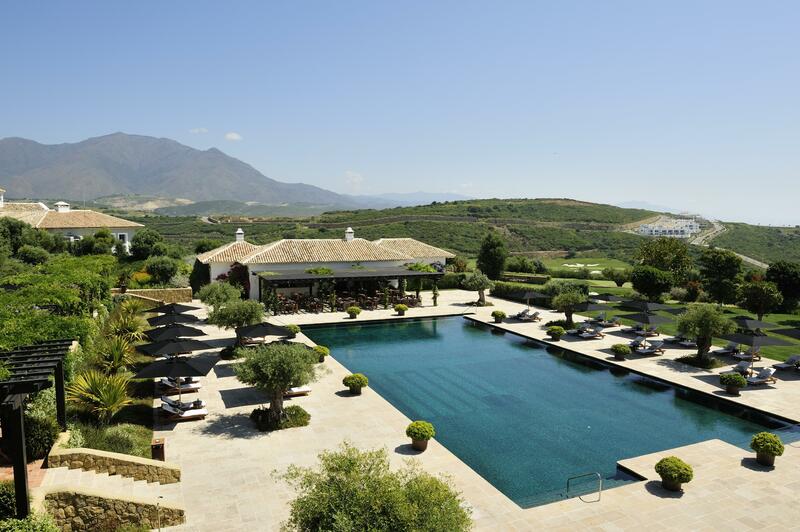 Finca Cortesin is a well-hidden gem for any discerning traveller looking for sophistication, privacy and ultimate luxury. Add the spectacular setting, interior design, delicious food and outstanding service and you are left with an incredible hotel which has to be experienced in person!